We all know very well that according to the launches of the main smartphone manufacturers like the well-known Chinese brands Huawei, Xiaomi and the South Korean giant Samsung, the foldable smartphones will stay as the latest trend in the smartphone world. As all these major smartphone manufacturers are already working on their own foldable smartphones, and very soon they will launch their respective folding phones in the market. However, patents and possible designs of foldable smartphones from other companies do not stop appearing. According to the launches of the main smartphone manufacturers like the well-known Chinese brands Huawei, Xiaomi and the South Korean giant Samsung, the foldable smartphones will stay as the latest trend in the smartphone world. As all these major smartphone manufacturers are already working on their own foldable smartphones, and very soon they will launch their respective folding phones in the market. However, patents and possible designs of foldable smartphones from other companies do not stop appearing. Among all these major smartphone manufacturers, the well-known South Korean giant LG is one of the brands who does not have a folding smartphone announced yet, while it is one of brand who already started its work on these flexible screens more than five years ago, along with the South Korean giant Samsung and its first folding phone designs with flexible screens. 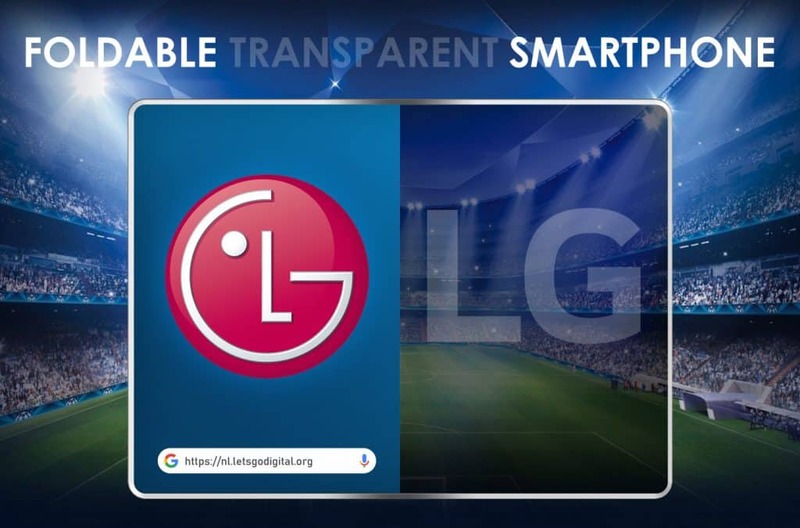 Now according to the latest reports, a new patent of the South Korean giant LG for a smartphone with the foldable and completely transparent screen has come to light. Yes, the South Korean giant LG’s transparent foldable smartphone patent was presented in 2015, and it is now when the United States patent office has given its approval, since it has been approved and made public, under the serial number 10254863, and here’s the design mentioned below. After having our first look at the design of this unique device, we must say that patents do not mean that the manufacturers will make them and are already working on these models or something similar will happen in the future. As they simply have an idea and a design, and later they patent it, so they can make this happen in reality. Moreover, the South Korean giant LG did the same with this foldable transparent smartphone, that could be operated on both sides, and right now we don’t know about its practical advantages. As the South Korean giant LG has the technology, since two years ago, they presented their transparent OLED screens, and at this year’s CES, they already revealed their fully rollable TV. However, right now to know more about this extraordinary conceptual foldable transparent smartphone of the South Korean giant LG, simply we have to wait for the official announcement. So, what do you think about this? Simply share all your views and thoughts in the comment section below. And if you liked this post then simply do not forget to share this post with your friends and family.